What’s better that a flower bouquet? 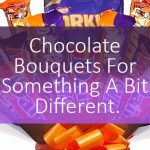 A chocolate bouquet of course! 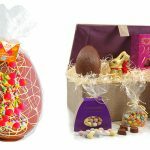 We have a wonderful collection of these sweet treats, so you’ll be spoilt for choice when choosing the right chocolatey gift. While it’s always lovely to receive a big bouquet of fresh flowers, sometimes the occasion calls for an alternative gesture. Something a little but more personal. Take a look below at some of our selection, or see the full range here . 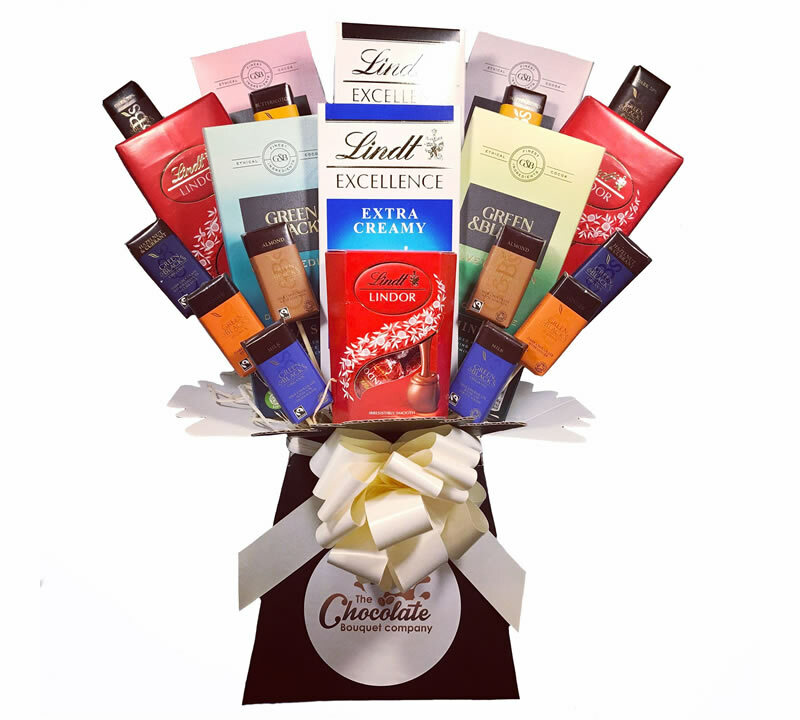 One of our biggest sweet bouquets, this gorgeous gift features a huge assortment of luxury chocolate. 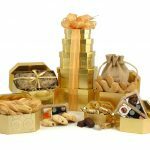 The chocoholic in your life will be absolutely thrilled to receive this selection of premium chocolate bars. Treat them to wonderful flavours like salted caramel, hazelnut, mint and delicious Lindt truffles. 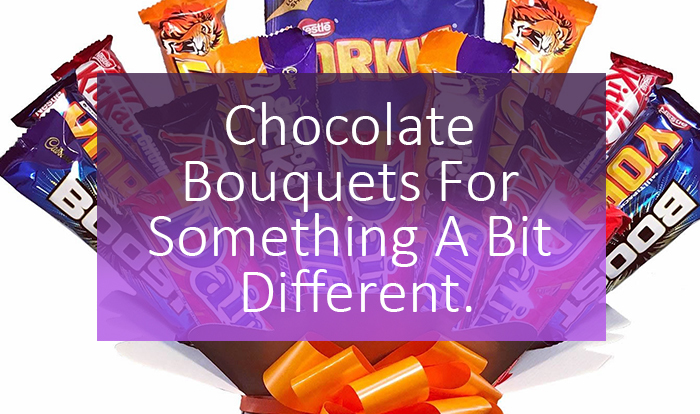 There’s plenty more to discover in this chocolate bouquet. 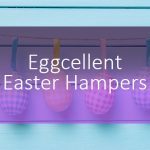 Perfect for somebody who loves nothing more than to light some lovely scented candles and tuck into their favourite chocolate. 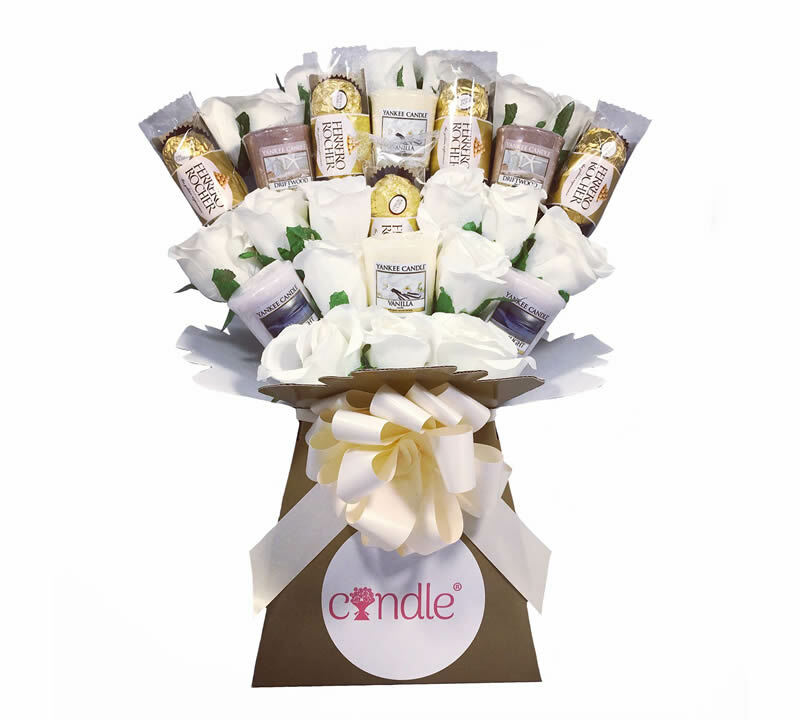 This chocolate bouquet contains 6 Yankee votive candles in three delicious fragrances. Nestled next to the candles are beautiful artificial ivory roses and 12 individual Ferrero Rocher. Everything needed for a night in! Men like being spoiled too! 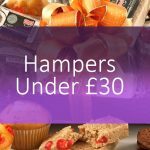 This hamper is jam packed full of chocolate legends. Treat him to chunky chocolate bars made for men. 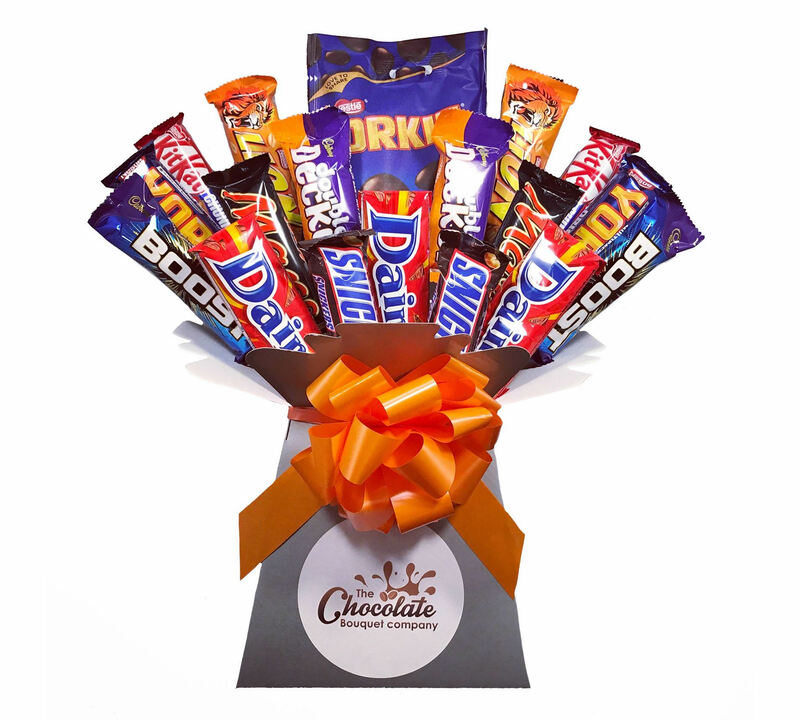 The lucky man in your life will love tearing into this chocolate bouquet packed with the manliest chocolate bars of old! 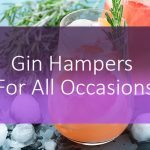 Perfect as a birthday gift, or for Father’s Day, have this hamper delivered straight to his door. 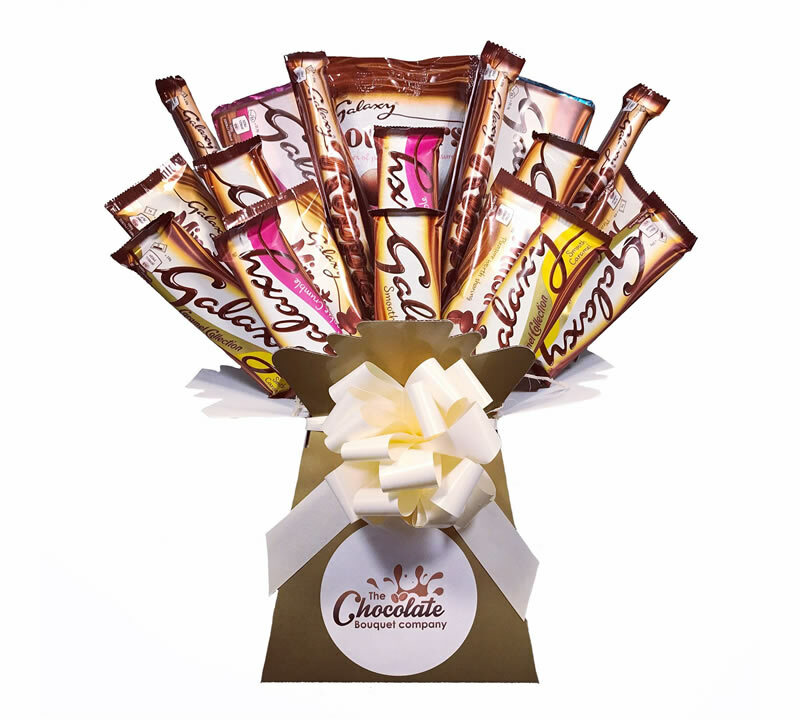 A popular gift, the Galaxy Chocolate Bouquet contains a fantastic array of Galaxy chocolate bars. If you’re looking for a gift for a special occasion, this one is perfect. It contains 17 bars of Galaxy chocolate. You can add a gift message during checkout, and send this delightful bouquet straight to their door.